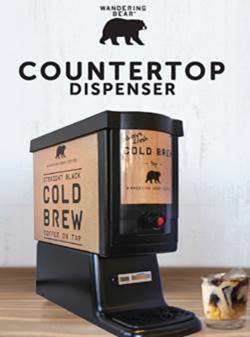 Description: Wandering Cold Brew Coffee is as good as cold brew gets! Organic, dark and rich tasting with a hint of chocolate, this outstanding cold brew is a great addition to any office. Cold brew coffee is becoming more and more popular as a coffee that is less acidic and bursting with great flavor! Cold brew is a great alternative to regular coffee on a sunny South Florida day!